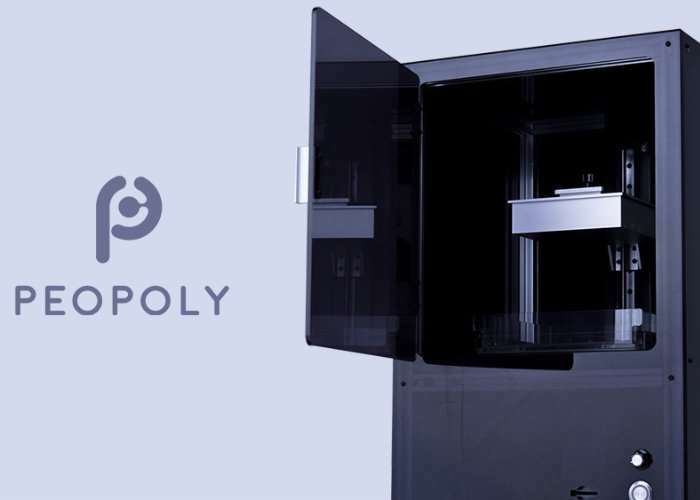 Peopoly based in Los Angeles has this week unveiled a new high-resolution laser SLA 3D printer they have created in the form of Moai, which is both affordable and provides a class-leading 70 micron laser spot size. The Moai 3D printer has this week launched by a Kickstarter to raise the $30,000 the team require to take their new SLA printer into production. Watch the promotional video below to learn more about Moai and what sets it apart from other more expensive SLA printers on the market. Moai can also print wax resin and use it to create jewellery via investment casting. The ability to produce intricate structures with smooth finishes that saves time and opens new possibilities for designers and craftsmen. Moai can print with precision and speed thanks to its UV laser and galvanometers (galvo). The 150 mW Moai laser delivers more than enough energy to cure light-sensitive resins and has a spot size of just 70 microns. Let’s compare the size difference to a typical 400 micron FDM printer’s nozzle head. The way Moai works is that it quickly moves the focused laser spot on the resin and solidify it to form a shape: After a layer is finished, it raises the build platform slightly and cures the next layer. While Moai’s laser delivers the energy for curing, its galvanometers (galvo) guide the laser beam to make precise movements. You can think of galvo like a rapid moving tiny mirror that reflects light. Using 2 galvos, Moai is able to draw any shape on a two-dimensional plane, and that is how it frames the shape of each design. One thing that makes Moai different than other laser SLA printers on the market is that you have complete control of its settings. Users can adjust the power level, exposure, and movement to get the best results based on the precise resin being used and application of the finished product. You control exactly how you want things to be printed! Jump over to Kickstarter to make a pledge from $900 for super earlybird backers to be one of the first to receive the new SLA 3D printer when it starts shipping during June 2017 if all goes well.